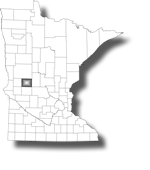 Douglas County, on behalf of the Minnesota Department of Human Services, utilizes Sourcewell to carry out the necessary duties for licensing of family child care. Family child care information and forms are now available on the Sourcewell website. If you have questions, are interested in applying to be a family child care provider or would like to register to attend a family child care orientation, please contact Sara Peterson, Regional Licensing Specialist, Sara.Peterson@sourcewell-mn.gov or at 218-541-5222.